I am very happy to report a successful Global Social Benefit Institute (GSBI®) Boost in Yaoundé, Cameroon! 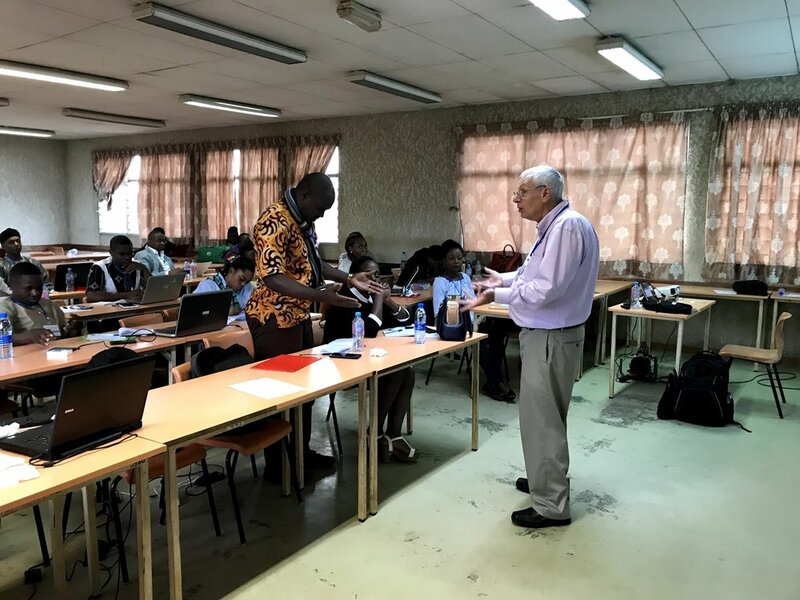 The Boost was organized on the campus of the Université Catholique d’Afrique Central (UCAC), in Yaoundé, Cameroon, on July 20-22. Local Jesuits animated a local team of excellent professionals. There were 30 social entrepreneurs representing 29 enterprises, drawn primarily from Yaoundé (the political capital) and Douala (the commercial capital on the coast). Of the 30, three-quarters of the participants are under 36 years old, and 17 of the 30 were women. Ten of the 29 enterprises have a focus on serving women, mostly providing other women entrepreneurs IT support and training. Several others worked with women farmers and artisans. There was also a strong emphasis on IT and creating local innovation centers. There is a strong interest in forming local support groups according to geography and interest. Fr. Bossou (one of our Jesuit partners), as well as local mentors, plan to visit these support groups, for reinforcement of key ideas. These groups will identify a representative, who will serve as a liaison with the local team of mentors. This group of social entrepreneurs was well educated, with many of them having completed BA degrees. There was a strong focus on creating employment, especially for youth. Cameroonians are much more forward than most Rwandans or Beninois, and the women are quite spirited. They are unafraid of speaking their minds. Bossou reminded me that we are next door to Nigeria and that explains some of the cultural dynamics. There is indeed a social enterprise movement here, but the principle of social impact, and the ideas about social impact measurement, appear to be new. I think that our GSBI Boost, with the ongoing efforts of the local team, will continue to resonate here after we leave. Despite Cameroon being a Francophone nation, most of the participants can read English and speak it with only some difficulty. Some are perfectly fluent in both languages. Many expressed interest in networking with the global social enterprise movement through Miller Center and our newsletter, and some expressed interest in applying. You can see photos from the Boost here. This GSBI Boost was able to take advantage of the university’s resources. The four excellent Cameroon mentors are alumni of UCAC. They are the best cadre of mentors I have met in Africa. These four would bring great value to our programs, were they our mentors. Fr. Chris Ngolele, SJ (STL@JST/SCU 2016) pulled together an excellent team. Ivan Djossa is a tenured faculty in the management and social sciences school, and was so excited by the GSBI methodology that he was bouncing off the walls. He wants to integrate our methodology into the teaching he does, and to train his students to do action research with the SEs. I will continue this knowledge exchange by extending our action research materials to help Djossa start his own action research program. Aurel Tayou runs a local women rising IT incubator. She recruited several other women entrepreneurs, including one who will be in an accelerator in the Bay Area this fall. Yves and Krystal were also mentors. Jose Flahaux, as usual, was the star. He radiates enthusiasm while holding the bar very high. He draws out the best from these groups, and has a good time doing it. On this trip, I have learned a lot more about him, and appreciate his cross-cultural skills. Bossou is ever the fixer, and an essential teammate in helping us to navigate the vagaries of Africa. Jose got the participants to share one word in public each day, and then created a word cloud. You can see those, here. These allow you to get a sense of the emotional tenor of the sessions. Several of the social entrepreneurs (SEs) did not get the memo about bringing a computer, so Ivan Djossa gathered seven of his MBA students, who assisted the SEs with their own computers. This helped the SEs, and stimulated enthusiastic conversations among the students. Working with the local team, we developed a plan that requires each participant to submit their Pitch Deck and Financial Model to the local team and then to us before they can receive their certificate. This delayed certificate distribution is meant to help motivate the SEs to continue relations with the local team and Miller Center. This will not yield 100% of the deliverables, but this will also allow us to follow up, and communicate with them, and potentially report their impact. The local mentors are organizing regional support sub-groups with mentors acting as liaisons. Bossou will follow up with those in Douala, and the local mentors will follow up in Youndé and other locales. On the Monday afterwards, Jose and I had dinner with Manka Agwafo a Cameroonian-American social entrepreneur in GSBI Online. She is a visionary, determined, warm, wonderful social entrepreneur trying to make the West African agrofood system more humane, sustainable and just. We gave her a bit of feedback on her deck for her upcoming pitch. She explained some of the difficulty we have observed with Cameroonian SEs articulating a clear sense of social impact and metrics. Manka is terrific person, and we want to see her succeed in her mission. I have introduced her to a few more resources for her mission. 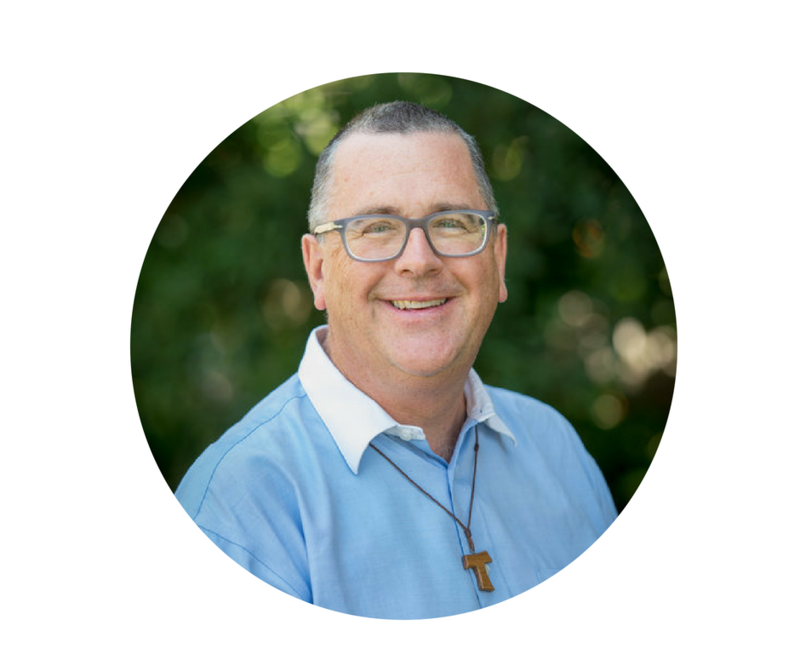 Keith Douglass Warner, OFM, PhD directs Miller Center’s education, fellowship, grants and action research activities. He directs the Global Social Benefit Fellowship, which provides a comprehensive program of mentored, field-based study and research for SCU juniors within the Center’s worldwide network of social entrepreneurs. With Thane Kreiner, PhD, he designed the fellowship and wrote the grant that funds it.